Hope Solo has never been one to keep her feelings to herself. Thanks to Twitter, we always know what the goalie is thinking. How do we know that? Remember that whole Twitter thing? @JulieFoudy i think you were confused of the question. It wasn't to name your top IX friends. This isn't the ponytail posse days anymore. 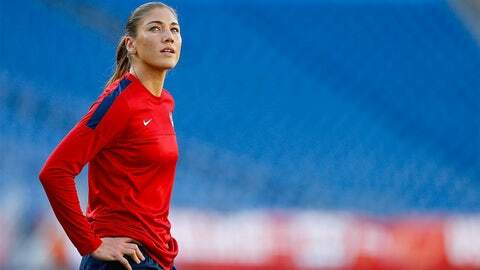 @hopesolo Actually, not confused at all.